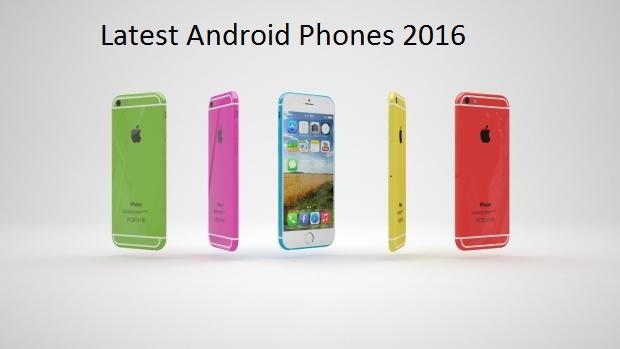 Some smartphones are worth waiting for, and there are some stunners coming in 2016. These are the best new phones coming in 2016, including the best new Android phones, best new iPhones, best new Windows phones, best new Samsung phones, best new Sony phones, best new HTC phones, best new LG phones and more. This list will be updated regularly as we get more information about exciting releases, although we'll cover most of the handsets here in more depth in their own individual rumours articles - look out for them soon. Recent rumours point at the phone coming out in March, as a separate launch away from the main event of the iPhone 7; although other rumours have suggested that the phone will not be launched until September. It looks as though we'll have to wait a couple of months to find out which it will be. It should have a 4in screen with a resolution of 1,366x640, an A9 SoC and an 8-megapixel camera. It has been said that the phone will have a high-quality plastic body, just like the 5C had. The one real point of contention is, what will the name be, the 6C or 7C? I think that the answer will depend on when the phone is launched: if it's March, it will be the 6C; if it's alongside the iPhone 7 it will be the 7C. Keep up-to-date with our iPhone 6C/7C rumours article. There are the rumours that the S7 Edge will be larger than the S7, effectively removing the need for the 'Plus' edition. Instead, all varients of the S7 will be launched shortly. That leaves room for the Note 6 to have its own launch away from any other phones, which is just what it needs. What's a little harder to work out is when. Samsung traditionally launched the Note at the IFA show in Berlin, but in 2015 it went early and announced the Note 5 in August. So, assuming that Samsung sticks to the same rough plan, it's a safe bet to suggest that the Note 6 will come out either in August 2016, at its own event, or in September 2016 at the IFA show. As more details leak, I'll bring you more information. Of course, it's not even definite for now, if the Note 6 will even get a UK launch. Very little is currently known about the specifications of the new Moto G, but we'd expect it to have the same 5in 1,280x720 resolution display, but a renewed design and potentially an improved processor - perhaps one of Qualcomm's newly-announced Snapdragon 435 chips or (and this is wishful thinking) the Snapdragon 625. We'd also expect an improved camera sensor, although with the current Moto G already coming equipped with a 13-megapixel sensor, it's probably more likely that Motorola will add new features, such as optical image stabilization perhaps, rather than increase the resolution. As for a release date, Motorola launched the 3rd Gen Moto G in July of last year, so it's likely it will be around the same time again if indeed it does release a fourth generation Moto G for 2016. This feels like a make-or-break year for Sony, with the company going to have to make a big impact with the Xperia Z6 if it wants to compete with the big boys. Sony has previously released flagship phones every six months; with the Z5 launching in September 2015, the Z6 should arrive around February or March time. However, the six-monthly cycle doesn't work particularly well: by the time you buy one flagship Sony phone, the company has pretty much made it redundant with the launch of the next. For that reason, I think that there's a good chance that Sony will wait for a full year before unveiling the Z6 in September 2016. What will the company have in store for us? Well, a Snapdragon 820 CPU, Android Marshmallow and a pressure-sensitive screen all seem to be on the cards. I'll bring you more details as they come, included updated release dates as more information starts to leak. Huawei is steadily upping its game and has big ambitions to become one of the world's biggest smartphone producers. With last year's Huawei P8 we found that the phone was exceptionally well made and looked fantastic, but the battery life and speed let it down a little compared with the competition. According to leaked benchmarks, reported on by WCCFTech, the Kirin 950 looks like it's going to be a lot faster than the incredibly quick Exynos 7420, Samsung's current flagship SoC. That's not all, either. The P9 is also set to have 6GB of RAM, a Full HD 5.2in display and a 16-megapixel resolution. While some rumours said that the phone would appear at CES 2016, that date has come and gone. More realistically, we'll have to wait until April, one year after the P8 launched, to see the new phone. I'm certainly excited and a bit more high-end competition has got to be a good thing all-round. Samsung's handset plan for 2016 is as predictable as Apple's. The Samsung Galaxy S7 will follow the current Galaxy S6 as night follows day. Apple will undoubtedly continue its usual tick-tock strategy of handset releases. 2014 gave us a the iPhone 6, 2015 brought the updated iPhone 6S and so 2016 will provide a whole new hardware design in the form of the iPhone 7. I'd be amazed if the new phone wasn't called that (although I suppose iPhone Air is a possibility) and it will certainly be launched in late September, as in previous years. Not much is known about the new design yet, but some rumours are circulating. There's much talk of the phone getting rid of the headphone jack, using Lightning port and wireless headsets instead. This could, in turn, allow the phone to become slimmer still, although battery life could be a concern. There's also talk of a camera with multiple sensors to improve image quality and focus speeds. HTC will also be releasing a new Android flagship by April, 2016. One thing that looks certain for the new phone is the inclusion of a Qualcomm Snapdragon 820 chipset, which should improve performance and battery life across the board. Other than that though it's hard to know what to expect, the A9 used an AMOLED screen so I'm hoping for one here too, while a different approach to the camera is in order too, after the last two failed to impress. It feels as though Google got into its stride last year with the 5.2in Nexus 5X and the 6in Nexus 6P, both replacements for older handsets. So, what will 2016 bring? Well, the current rumours have said that Huawei will be returning to the Nexus fold, manufacturing another new handset for Google in 2016. Given that Huawei made the Nexus 6P, the smart money would say that it will manufacture its replacement. We're not sure on names at the moment, so will have to stick with Nexus 6 2016 or Nexus 6P 2016. If Huawei were to make this phone, it would leave the path clear for another Nexus 5, potentially manufactured by LG again. I haven't heard any rumours about this phone, so we'll have to wait to find out some more details. As with previous versions of new Nexus phones, it's a safe bet to say that they'll launch with the next version of Android: Google likes to show how a new OS can work by partnering it with new hardware. As with previous launches, October 2016 seems like a safe bet for these new phones. Rumours have been circulating, mainly coming from Windows Central, that Microsoft is working on a Surface-branded phone running Windows 10. The new handset has now been placed under the development of Panos Panay, now in charge of the Devices Division at Microsoft, and is completely separate from previous work done by Nokia on such hardware. With the success of the Surface Pro 4 and the allure of the Surface Book (yet to be released in the UK), such a phone could easily be the most exciting handset of the year, and not just because it would be something truly new. Again rumours point to a move to the Qualcomm Snapdragon 820 chipset, though if everyone listed here switches to it, you might find a shortage of handsets to go around, so order early. It's an attractive proposition with big increases in performance and battery life. The camera doesn't need any extra work from the LG G4, with its optical stabilization and laser auto focus.